So, we’re well into the summer months now, which means Freshers’ Week is just around the corner, and with fresher’s week comes new faces, new challenges, and new opportunities. With this in mind, we are beginning to put together the second issue of The Alternative, our anti-cuts magazine. If you would like to write something, let us know, and send an article (500 word limit) to aberstudentsagainstcuts@gmail.com by the end of August. If you want to help out, but don’t want to contribute an article, you could help with editing by getting in touch on the facebook group or via the email address above, or you could donate money to help with the costs of publication – each copy of The Alternative costs around 50p or so to produce, so even small donations help! With an article deadline of the end of August, we’re hoping to get editing and printing done at the start of September, in time for Freshers’ Week at Aberystwyth. So keep a look out! This Thursday, over 700,000 workers in education and the public sector, across several unions, will take to the streets as they strike over pensions. Alongside the unions, campaign groups such as UK Uncut, the National Campaign Against Fees & Cuts ( NCAFC ) and the Education Activist Network (EAN), will be taking part in direct actions in solidarity with striking workers. Dubbed the J30 Strike, this Thursday promises to be the largest scale strike in a generation, with a bigger national turnout than the March For The Alternative earlier this year. It is important that we as students, wherever we are in the country, stand united with workers in opposition to negative Government reforms which damage education, damage the public sector, and leave workers under increased financial pressure, or without a job altogether. With over 150 events scheduled across the country, there’s no excuse to not get involved. Here in Aberystwyth, a union rally will be held from noon, starting at the Morlan Centre. This Thursday, stand alongside thousands of others and reject the cuts! On Monday 9th May 2011, Aberystwyth University announced plans to charge the “exceptional” £9,000 tuition fee rate from 2012. Aber Students Against Cuts strongly condemns the move as ‘a full-frontal attack on education’, that will put the future of the University, and the town itself, at risk. In university towns such as Aberystwyth, students are a major contributor to the local economy, without which local services would be lost. It is beyond doubt that any raise in fees will discourage students from attending university, dreading the prospect of starting their adult life up to £40,000 in debt. The move, as part of the creation of a market in education is a regressive and damaging action that will undermine the fundamental principles of education whilst disproportionally hitting students from poorer backgrounds, as well as female and disabled students. The economic arguments in favour of tuition fees have no sound basis in reality. Investment in education bolsters the economy, with a return of almost £3 for every £1 spent; and with graduates earning on average £100,000 more than non-graduates. According to a study by Universities UK, the HE Sector alone has generated over £45bn in UK output, whilst providing 2.5% of the jobs in the workforce . Additionally, it is reported that the increase in fees, coupled with cuts to funding, will actually increase public debt. Aber Students Against Cuts calls upon students, unions, and universities across the UK to reject the education funding reforms. The group advocates lawful direct action to oppose the ideological attack against education, public services, and society as a whole; and asks local unions to work together to take action as a result of Aberystwyth University’s announcement. Aber Students Against Cuts is a horizontally-organised campaign group, consisting of students, university staff, and members of the local community, who actively campaign against public sector cuts, with emphasis on educational funding. Spending Review 2010 Written evidence submitted by University and College Union, Equality & Diversity point 38. NA I’R TORIADAU! AMDDIFFYNWCH GWASANAETHAU CYHOEDDUS CEREDIGION! Ymgynnull ar ffordd mynediad Swyddfeydd y Cynulliad a Cyngor Sir Ceredigion, Rhodfa Padarn am 11.30yb. Rali yn Castell Aberystwyth am 1.00yh. Assemble on the WAG and Ceredigion County Council Offices access road, Rhodfa Padarn at 11.30am. Rally at Aberystwyth Castle at 1.00pm. Ni ellir darparu papur pleidleisio i chi wedi 10yh, hyd yn oed os ydych yn cyrraedd yr orsaf bleidleisio cyn hynny. You cannot be issued with a ballot paper after 10pm, even if you are at the polling station before then. Information about the location of your polling station is on your polling card, which you should have received in the last few weeks. If you have not received a polling card, you may not be on the register and thus may be unable to vote. The first of these will relate to the referendum on electoral reform. It will ask you the question “At present, the UK uses the ‘first past the post’ system to elect MPs to the House of Commons. Should the ‘alternative vote’ system be used instead?”. You will be presented with two boxes: ‘Yes’, and ‘No’. You should mark one box with an ‘X’ to indicate your decision. 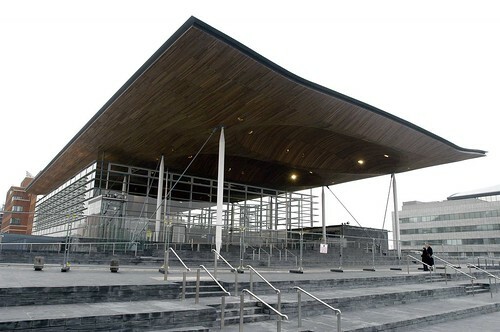 The second ballot paper will relate to the Election to the Welsh Assembly. It will show you a list of candidates standing in your constituency. You are to mark an ‘X’ beside one candidate. The final ballot paper also relates to the Election to the Welsh Assembly. It will show a list of parties, and independents, standing in your region. This is the “top-up list” component of the AMS system used to elect Assembly Members. You are asked to mark an ‘X’ beside one party or independent.